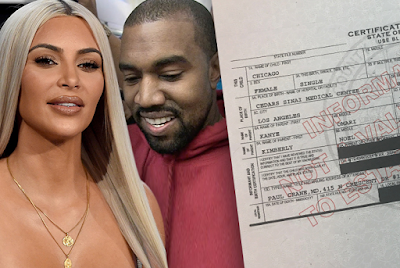 Kim Kardashian and Kanye West already revealed the name of their third child -- Chicago West and now the birth certificate is out. According to the document obtained by TMZ, Chicago was indeed born at 12:47am on January 15 and weighed in at 7 lbs. 6 oz. The delivery doctor is listed as Dr. Paul Crane, who also delivered North and Saint, as well as just about every other Kardashian. Recall the birth was via surrogate.